UFOs aren’t a new phenomenon. In fact, humans have been describing unidentified flying objects for millennia, with depictions of disk-like objects and unusual atmospheric objects found in the art and literature of ancient civilizations from the Sumerians and the Egyptians to the Greeks and Romans. But the modern era of UFOs took off in the middle of the 20th century, right around the time rockets and high-tech aircraft were being devised, often in secret. Coincidence? Paranoia? Perhaps. In any event, these seven UFO sightings certainly occurred, but it’s up to you to decide what explanation you’ll believe in. Pilots E.J. 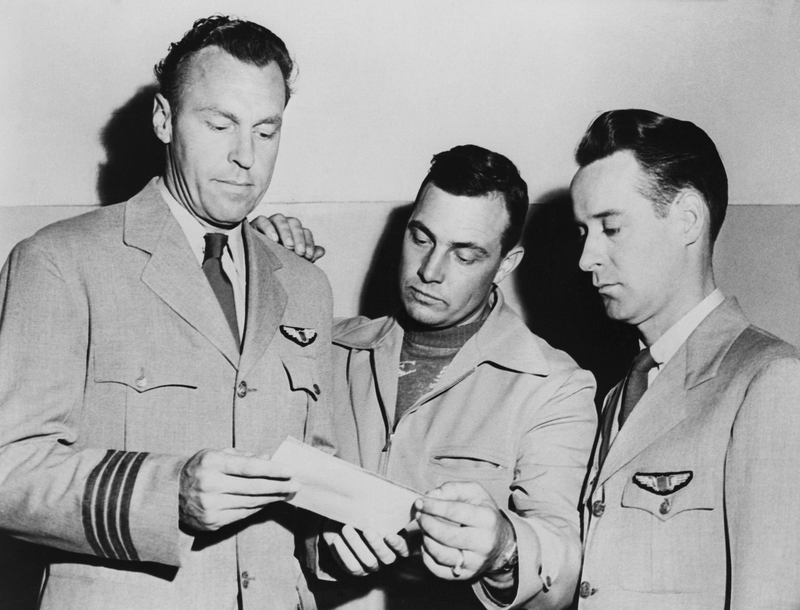 Smith, Kenneth Arnold, and Ralph E. Stevens look at a photo of an unidentified flying object which they sighted while en route to Seattle, Washington. As it turns out, the government was indeed covering something up—but it wasn’t aliens. The crashed weather balloon was, in fact, part of a top-secret military endeavor called Project Mogul, which launched high-altitude balloons carrying equipment used to detect Soviet nuclear tests. 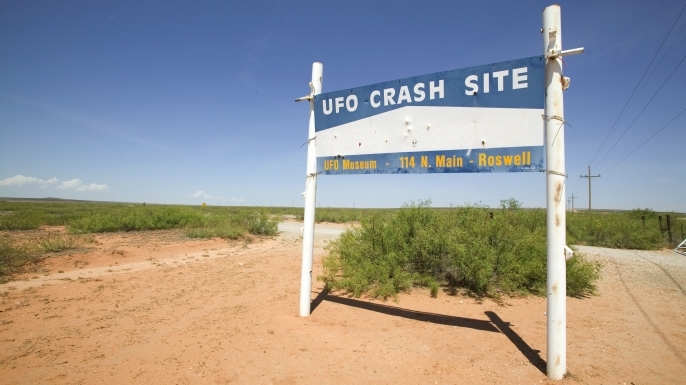 The Air Force provided plenty of proof in a 231-page report released in 1997 called “Case Closed: Final Report on the Roswell Crash.” Though the mystery has been thoroughly debunked, interest in the case has only grown, and Roswell’s tourism is heavily based around its famous “UFO sighting.” It’s home to the International UFO Museum and Research Center, a spaceship-shaped McDonald’s and an annual UFO festival, held each summer. The “Lubbock Lights”, photographed at Lubbock, Texas, by 19-year old Carl Hart, Jr. in 1951. 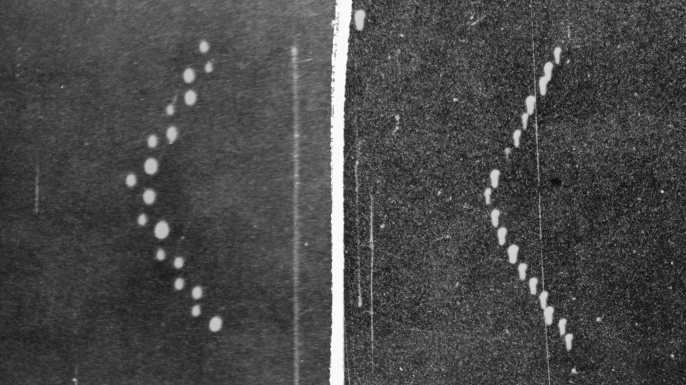 On the evening of August 25, 1951, hree science professors from Texas Tech were enjoying an evening outdoors in Lubbock, when they looked up and saw a semicircle of lights flying above them at a high speed. Over the next few days, dozens of reports flooded in from across town—Texas Tech freshman Carl Hart Jr., even snapped photos of the phenomenon, which were published in newspapers across the country and Life magazine. Project Blue Book investigated the events, and their official conclusion was that the lights were birds that reflected the luminescence from Lubbock’s new streetlamps. Many people who saw the lights, however, refuse to accept this explanation, arguing that the lights were flying too fast. 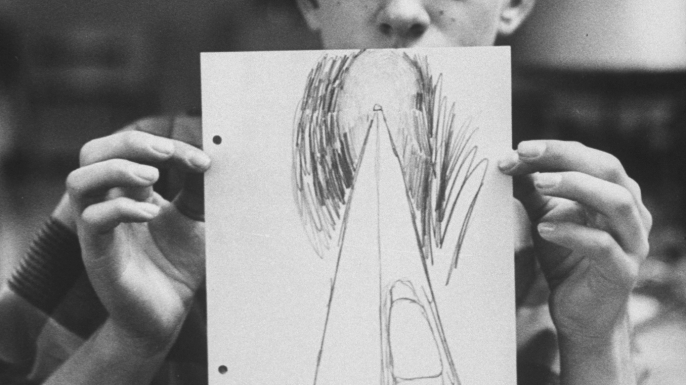 One of several people who witnessed the UFO in Levelland, Texas in 1957, holding up a drawing of what he saw. Have you ever seen the film Close Encounters of the Third Kind? There’s a famous scene where a UFO makes the electronics in a car go haywire. As it so happens, that’s not just a Hollywood invention for the silver screen—there’s real-life precedence. In 1957, dozens of citizens of Levelland, Texas, individually reported seeing a rocket or strange lights that interfered with their vehicles: Engines died, lights cut out. Though the police initially thought the reports were a hoax, they, too, saw the mysterious lights, as they investigated the situation.Project Blue Book, a UFO research group created by the Air Force, was assigned to investigate the case. Their findings? It was an electrical storm and ball lightning that caused the lights and the mechanical malfunctions, despite the fact that there were no reported thunderstorms in the area that night. The September 19, 1976, incident in Tehran, Iran, started much like many others, with phone calls from concerned citizens reporting a bright light in the sky. An F-4 fighter jet was set out to investigate, but as it neared the object, its instruments blacked out, forcing the pilot to return to base. A second F-4 took its place, and as it neared the unusual light, it achieved radar lock. But then, according to the pilot, the UFO released a glowing object—the pilot assumed it to be some sort of missile headed straight for him. As he prepared to fight back, the pilot experienced malfunctions with his instruments, and he witnessed another bright object released from the UFO that headed straight toward the ground. 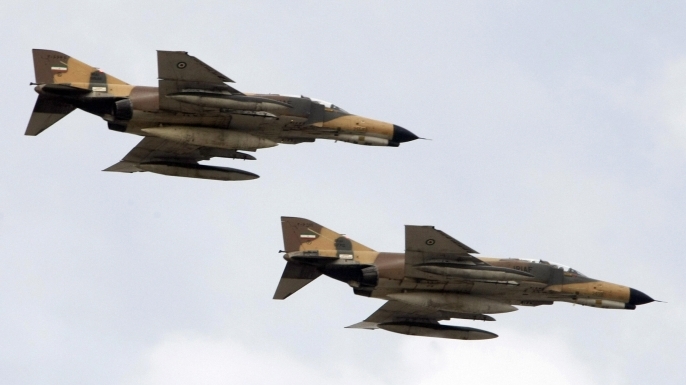 He safely returned to base, despite the faulty equipment.After the incident, Iran contacted the United States to aid them in an investigation. An unclassified memo by U.S. Air Force section chief Lieutenant Colonel Olin Mooy detailed the events of the night: There are explanations for nearly all of them. First, the bright light seen by civilians (and possibly the pilots) might have been Jupiter, which was visible in the sky that night. Second, as author Brian Dunning notes in a podcast, the second F-4 jet had a long history of electrical problems, meaning that the instrumentation might have failed regardless of a UFO situation. It also could explain the radar lock—it might simply have been a malfunction. The first F-4, reports Dunning, was never turned in for maintenance following the incident, so there’s no official indication that its instrumentation failed. And finally, as for the “alien missiles,” there was a meteor shower that night, which could easily account for the sightings. 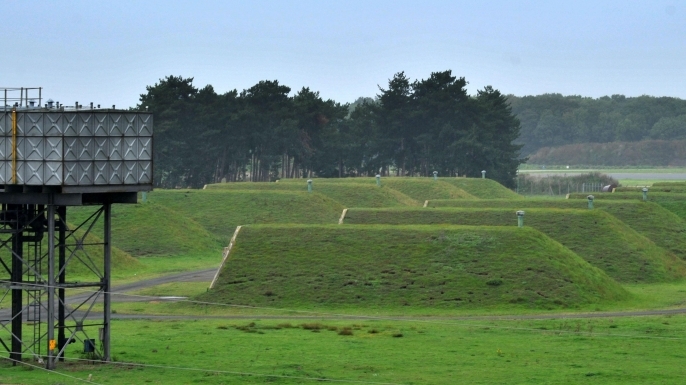 A general view of disused missile silos at the former RAF Bentwaters base near Rendlesham Forest, Suffolk where an alleged alien interference with US nuclear weapons site took place. In December 1980, U.S. Air Force members stationed at two British Royal Air Force bases, Woodbridge and Bentwaters, reported seeing strange, colorful lights above Rendlesham Forest, about 100 miles northeast of London. One man who entered the forest to investigate claimed to have discovered some sort of spacecraft there, and the next day, others confirmed damage to nearby trees and a higher-than-normal level of radiation at the site.Several days later, more sightings were reported. Lieutenant Colonel Charles Halt recorded his observations on an audio tape as he watched the lights, and while not definitive proof, theorists consider this the strongest evidence of the events. But the UK’s Ministry of Defence, which oversaw reports of UFO incidents until the early 2000s, did not find any credible threat to the nation, and thus did not pursue investigations further. As at Roswell, UFO tourism is prevalent in Rendlesham Forest, and there’s even an official Rendlesham UFO trail that visitors can hike, off of which is a model of the reported spacecraft. At the end of November 1989, citizens of Belgium reported seeing a large, triangular UFO hovering in the sky. But other than these visual sightings, no evidence of the UFO’s existence was to be found—for now. A few months later, in March 1990, new sightings of multiple objects were reported, which were confirmed by two military ground radar stations. Two F-16 fighter jets were sent out to investigate the anomalies, and though the pilots could not see anything visually, they were able to lock onto their targets with radar. But the UFOs moved so fast that the pilots ended up losing them. Some 13,500 people are estimated to have witnessed the incident, making it one of the most widely experienced UFO sightings of the modern era.The Belgian Air Force had no logical explanation for the activity, but it acknowledged that an unknown activity had taken place in the air. The Belgians reached out to the UK’s Ministry of Defence to investigate further, but once they determined that the incident was not a hostile or aggressive one, they stopped the investigation.